Howard advises higher education and nonprofit institutions in nearly all areas of law that these institutions encounter, from real estate to contracts to general business, operational and authority issues. He works closely with his clients, which include nationally recognized universities, to understand and respond to their unique challenges and needs. One of the areas in which Howard has significant experience is representing colleges and universities in public-private student housing transactions. He represented four national universities in projects for a 1,000-bed facility, a 900-bed facility, a 440-bed facility and a 325-bed facility, respectively. Each project involved a public-private venture, a long-term ground lease and tax-exempt financing. In his real estate practice, Howard provides clients with counseling and representation in a wide range of real estate and transactional matters, including development, acquisition, sale and leasing of commercial, industrial and institutional projects; commercial mortgage loans; construction; and zoning issues. 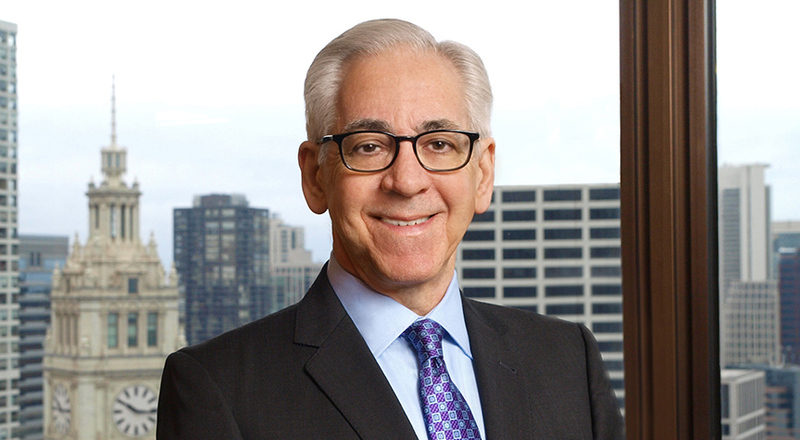 Howard's real estate activities have involved numerous development projects in and around Chicago and commercial finance transactions. One example of Howard's transactions was the structuring of an air-rights lease transaction for a 53-story mixed use high-rise in Chicago’s Gold Coast, containing a national university on street level and lower floors topped by one of the tallest buildings in the world for a continuing care retirement community. Another prominent project for a nonprofit institution was a complex, $30 million monetization of non-core assets, including ground leases of land and conveyances of buildings. A long-standing member of the National Association of College and University Attorneys, Howard is a frequent author and speaker for their conferences and publications. Prior to attending law school, he studied architecture and urban planning at The Cooper Union and was the recipient of the Henry Adams Award from The American Institute of Architects. 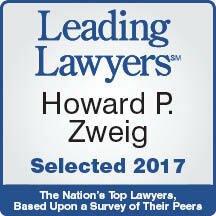 Howard has been named an Illinois Leading Lawyer and was also named an Illinois Super Lawyer in Real Estate in 2005, 2006 and 2008. Represented four national universities in projects for a 1,000-bed facility, a 900-bed facility, a 440-bed facility and a 325-bed facility. Each project involved a public-private venture, a long-term ground lease and tax-exempt financing. Worked on a complex transaction involving an air-rights lease, multiple users and multiple uses for a 53-story building. Represented a university in litigation related to a historic district that was imposed on a significant portion of its property. Handled the development of a research park for a university, involving the negotiation of a master development agreement, declaration of covenants and ground leases. “Fundamentals of Real Estate Transactions: Due Diligence and Practice Pointers,” National Association of College and University Attorneys, July 27, 2010. “Copyright, Peer-to-Peer File Sharing and DCMA Subpoenas,” co-author with Darren S. Cahr and Nicole Murray, National Association of College and University Attorneys, NACUANOTES, Nov. 6, 2003. “Sarbanes-Oxley, Corporate Responsibility and Colleges and Universities,” co-author with Michael Peregrine, National Association of College and University Attorneys, NACUANOTES, Jan. 6, 2003.